Some of the country’s coolest and toughest reservations were born of more humble and scrappy beginnings, as pop-ups restaurants. Here, we share eight pop-ups turned permanent across the country proving how you can make it big in the world of good eating by starting small. Want to see how high a former pop-up can soar? Then look no further than Saison. Since Chef Joshua Skenes relocated the namesake pop-up to its chic new digs in SoMa, the acclaim hasn’t stopped rolling in. In fact, Saison maintained its three Michelin star status this year, and continues to top the critics’ lists. A single menu comprised of 22 courses is offered nightly, and the experience is nothing short of faultless. Despite the high praise and prices – dinner per person is $398, and that’s without the wine pairing – the service is charming (especially Head Sommelier Max Coane), and the vibes are refreshingly chill. There’s little Skenes can’t pull off in his kitchen, but even the most humble vegetables (like turnips and beets) transform and shine under his artful eye and deft hands. This comfy former supper club in the Mount Tabor neighborhood specializes in rustic, globally-inspired plates. Husband and wife co-owners Ksandek Podbielski and chef Katy Millard take care of everything, from managing the front of house, to the kitchen’s seasonal offerings. Upon first glance, the menu looks fairly straightforward, but is full of subtle surprises. Millard’s carrots, for example, are both raw and roasted, then topped with shaved hard-boiled egg and breadcrumbs for richness and crunch. And if you’re ready to commit for the evening, Coquine’s prix fixe is a relative bargain at $50 for four courses. On an unassuming stretch of Havermayer Street in Williamsburg, you’ll discover one of the most celebrated restaurants on the scene right now. Led by chef José Ramírez-Ruiz and pastry chef Pam Yung, both formerly of the Chez Jose pop-up, the cozy, 18-seat wood counter takes diners on an elegant plant-based journey. (Though meat and animal products are occasionally used, they never play a starring role at Semilla.) Ramírez-Ruiz and Yung are particularly mindful of the excessive waste prevailing at restaurants today, so they’re big advocates of cooking root-to-tip, leaving no part of the vegetable unused. This Bay Area staple kicked off as a popular pop-up hosted by chefs and pals Tony Ferrari and Jonathan Sutton and got its funding via a successful Kickstarter campaign. And since settling into Bernal Heights in 2013, the intrepid twenty-something chefs, along with Ferrari’s younger brother Austin – he’s just 22 years old, weave their food around the terrific wine program with authority. Given the chefs’ Italian backgrounds, the menu leans in that direction with Nonna’s Meatballs and handmade pasta with pork ragu, but they also turn out other hearty treats like their famed signature potpie. The protein in the pie rotates seasonally, and the dish arrives tableside in a scalding skillet, capped with a flaky crust, begging to be broken open with a fork. Opening mid-December in Nashville’s trendy Gulch neighborhood, Otaku Ramen is a bonafide labor of love by Sarah Gavigan and the city’s first dedicated ramen shop. After working in the music and film industry in Los Angeles for 17 years and returning to her hometown with no place to enjoy her favorite food, Gavigan schooled herself on the art of ramen-making to open up her pop-up Otaku South in 2013. 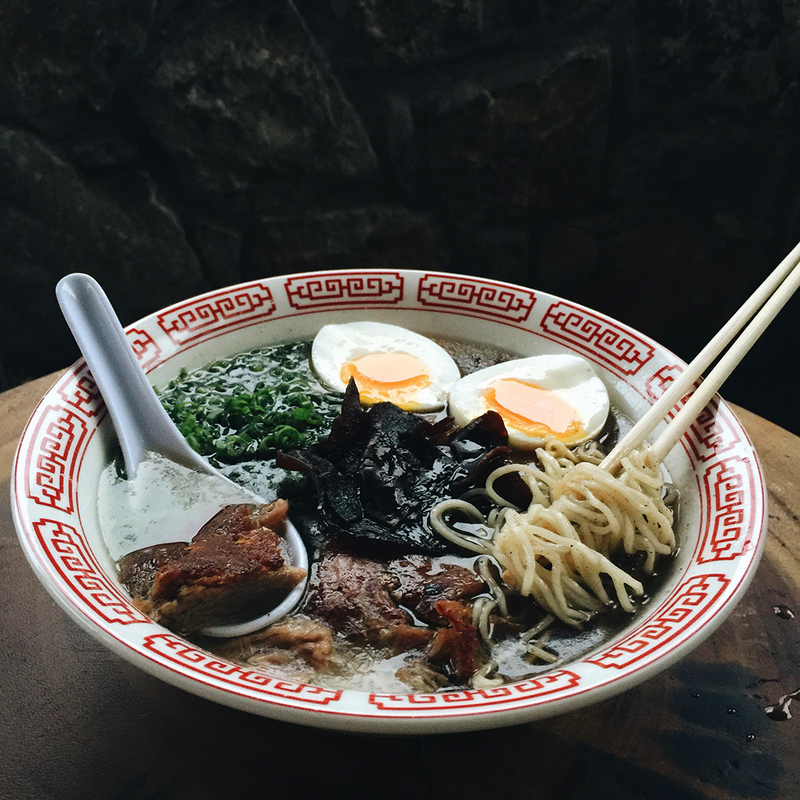 And as a nod to her home state, she uses locally-sourced pork bones by Porter Road Butcher in her Tennessee Tonkotsu, an intensely rich and creamy broth loaded with springy noodles, braised pork, and pickled ginger. A tiny, white-tiled nook tucked away in the East Village, this is a rare spot that appeals to both vegetarians and carnivores alike. Because the lines at owner and chef Brooks Headley’s equally veggie-friendly pop-ups were so long, he decided to strike out on his own with a brick-and-mortar spot. And the lines are still crazy, proving that New Yorkers were more than ready for a healthy alternative to belly-busting burgers and dogs. Headley’s offerings are lean and mean but satisfying with a veggie burger, his spin on a sloppy Joe, and salads, which rotate daily. Scoring a ticket for dinner here isn’t unlike catching your favorite band. As soon as they’re made available – they go on sale online the third Monday every month, for dinners the following month – they’re snatched up quickly. There are two seatings nightly, with each dinner kicking off with cocktails and savory bites in the upstairs parlor. Afterwards, guests head downstairs to long, communal tables for dinner. Lawyer-turned-chef David Barzelay promotes an interactive environment, where guests freely mingle with each other and the chefs. (You can even walk up to them mid-service in the open kitchen and chat away.) So instead of feeling like you’re at a stuffy fine dining restaurant, you feel like you’re a guest at your gracious friend’s home, at the hippest dinner party ever. Following their delightfully quirky pop-up at the Box Kite coffee shop, chefs Justin Slojkowski and Dave Gulino switched gears and decided to put the spotlight on pizza at Bruno, their bustling and ambitious restaurant in the East Village. Not only do they enlist a wood-fired oven to lend their modern Neapolitan pies those signature leopard spots, they also have a stone burr so they can mill and grind their flour, which is later fermented for their sourdough crust. Bruno’s techniques may be old-school, but their recipes are not. Their spin on the classic Margherita features a tangy, fermented tomato sauce, sweet garlic and lovage. And forget about tipping: instead, an “administration fee” is automatically added to your bill.